In this article I’ll share 10 platforms, sites and tools to use to increase your reach and get your content noticed. Discover how to amplify your content reach. BizSugar is a community site that allows entrepreneurs, small business owners, publishers and bloggers to share, discover and comment on small-business content. Bloggers can increase the visibility of their content, drive additional traffic back to their sites and network with entrepreneurs and small business owners. Plus, readers can discover small business–focused content rated by the community and add their own comments and questions. Post small business–related articles on BizSugar for entrepreneurs and small business owners to find. The site accepts blog posts and videos containing advice, tips, news or resources of interest to small business owners, managers and entrepreneurs. Content is then voted on by the community, with the best content advanced to the “hot” section or homepage of the site. The most popular content gets into the weekly top 10, where it’s also highlighted in the BizSugar Friday newsletter. 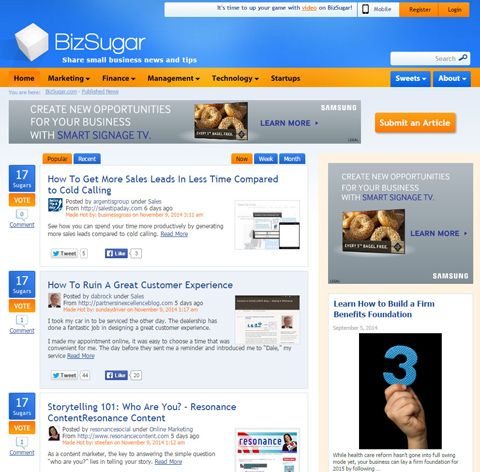 BizSugar operates similarly to syndication sites like Business2Community, Social Media Informer or B2B Marketing Zone, but is focused solely on small business content. Editors and the reader community keep the site virtually spam-free. For best results, create unique content for LinkedIn (don’t recycle your old blog posts) and optimize headlines. There is no word-count limit, but fewer than 500 words probably isn’t worthwhile and more than 1,500 is likely overkill, so that’s a good range to stay within. The most popular topics on LinkedIn include leadership, professional self-improvement, productivity and customer service. LinkedIn shares the top published posts on LinkedIn Pulse, which increases your visibility. 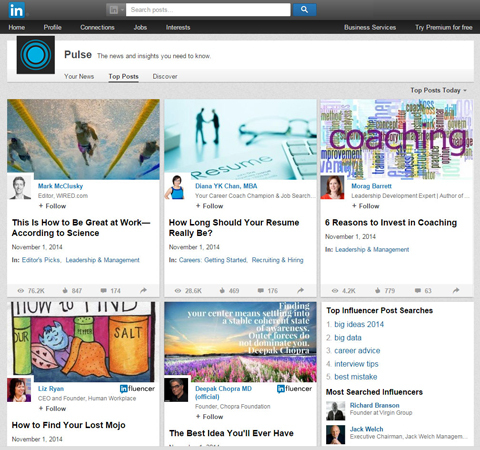 Your long-form published content on LinkedIn may be featured on Pulse. With more than 300 million members, LinkedIn provides exposure on the largest professionally focused social network. Unlike other social networking sites, LinkedIn members are there solely for professional guidance and networking. This makes it an ideal platform for publishing how-to or informative B2B content. Just as not all of your tweets are seen by all of your Twitter followers (actually, onlyabout 1.6% are) and not all of your Facebook status updates are seen by all of your friends, publishing on LinkedIn doesn’t guarantee a large audience. It’s got tremendous potential, but actual added brand exposure can be modest. 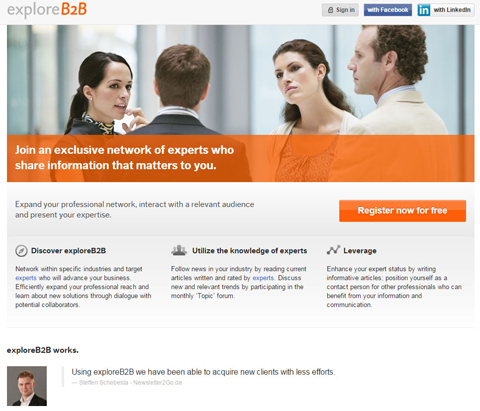 ExploreB2B is a social publishing platform for business content. Contributors publish articles with a focus on B2B communications. Then, exploreB2B spreads the word using its social media presence. They have more than 800,000 followers/fans spread over various accounts. While many other outlets focus on increasing the reach of influencer content, exploreB2B seeks to increase the reach of the average businessperson. Price: $12 per month; 30-day free trial. Note: While early adopters of the platform were primarily in marketing or technology, the site has expanded the range of industries and topics covered. The company now maintains more than 25 different Twitter accounts. Its goal is to become the Huffington Post or BuzzFeed of the B2B world. If you want to amplify your brand using other people’s content, check out Bundle Post. Bundle Post automates content curation and social sharing. It enables social media marketing professionals, social media agencies and brand marketers to add feeds and alerts. The system aggregates, ingests and saves the latest posts from each feed multiple times a day. Posts are formatted and ready to be selected for scheduling. Users have complete control over what is shared, and can find, schedule and hashtag the most recent unique content for 3-5 days in about 20 minutes. Bundle Post helps you discover great content to share. Price: $20-$100 per month; 30-day free trial. The social media management platform improves the efficiency of content discovery, scheduling and hashtagging. It’s also a repository of brand content users can schedule to insert in their social sharing streams. Oktopost is a time-saver. It’s a social media management platform, which enables marketers to monitor brand or keyword mentions in real time, engage with followers, pre-schedule updates and measure results of social campaigns. A user can schedule posts across multiple networks, including Facebook, LinkedIn, Twitter and Google+, for personal and company pages and groups. 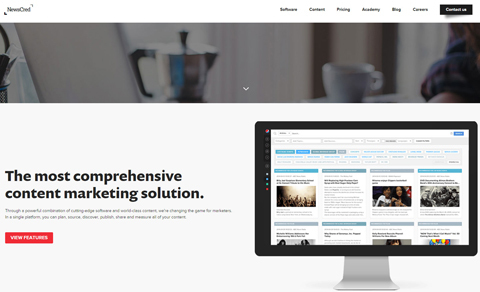 Oktopost is a social management platform designed for B2B marketers. Price: $49-$249 per month (plus custom pricing for enterprises) 30-day free trial. 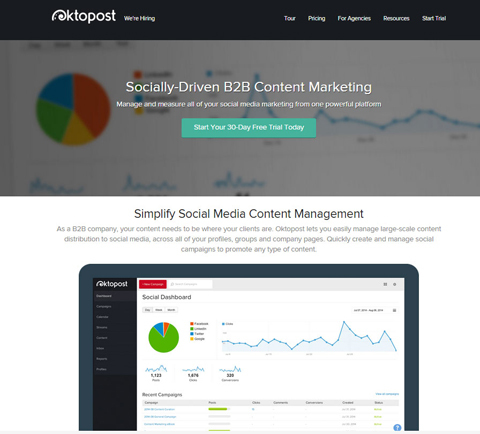 Oktopost differs from platforms like Hootsuite and Buffer with its focus on B2B marketing. 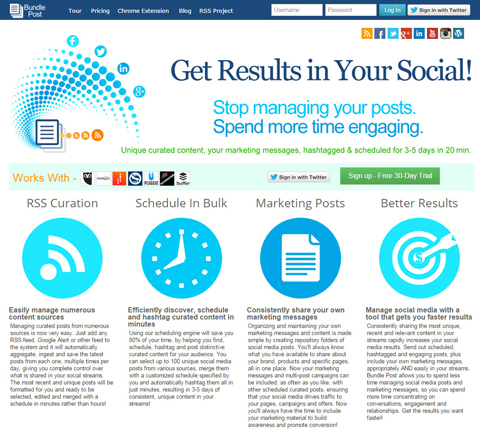 Users can segment posts into social campaigns, and track and compare their performance. Oktopost measures conversions and captures lead data to support ROI analysis. It also supports publishing to LinkedIn, and integrates with marketing automation and CRM platforms, such as Salesforce.com, Marketo and Act-On. 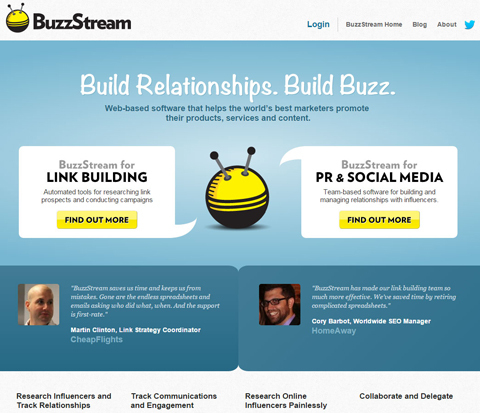 BuzzStream is a CRM tool for influencer outreach and content promotion. It helps marketers (and agencies) identify, qualify, pitch, follow up, measure and manage theirinfluencer and press outreach. BuzzStream helps manage relationships with influencers. The more influencer relationships you cultivate, the more likely your content will be shared and seen by others. Price: $9-$249 per month, per tool (Link Building, PR and Social Media); 14-day free trial. Devoted to content promotion and link development outreach, BuzzStream includes features like email and Twitter integration, as well as link tracking and monitoring. 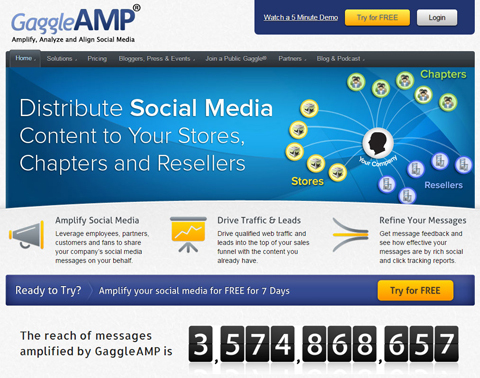 GaggleAMP is a platform designed to amplify the impact of corporate social mediaefforts. It helps companies with more than 200 employees create, implement and refine content-driven marketing campaigns by tapping into employee, partner and customer advocates, across the major social media networks. Companies create “Gaggles” (groups of employees, partners and customers) who are then notified any time the company creates new content, and are encouraged to share it. Gaggle members choose which content and types of content to share. They can also automate sharing of selected content types. Get employees to share your content with GaggleAMP. Price: $250-$1,000 per month; 7-day free trial. GaggleAmp provides click-through and engagement reports to help marketers refine messages and the timing of new content. Plus, it integrates with popular marketing automation systems for lead source tracking. This platform is great for mid- to large-sized sponsored content creators (publishers, brands and agencies), representing verticals such as financial, entertainment, sports, politics, news and health. 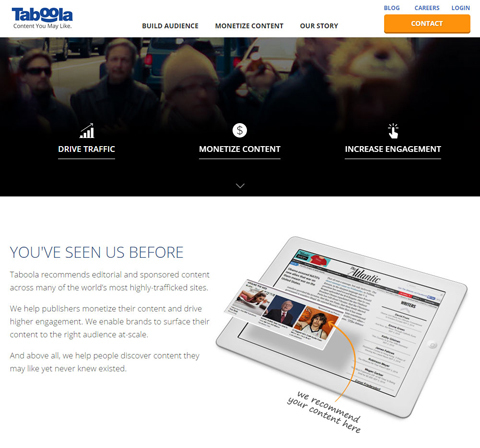 Help your audience find your content by posting on Taboola. Price: Cost-per-click; the minimum budget for client direct managed service is $2,000 per month. No free trial. Taboola currently serves over 150 billion recommendations to more than 400 million unique visitors each month across a range of publisher sites including high-traffic venues like USA TODAY, The Huffington Post, TMZ, Time, the Weather Channel and FOX Sports. Publishers use Taboola to monetize traffic, while marketers and agencies use it to distribute content to contextually relevant audiences. 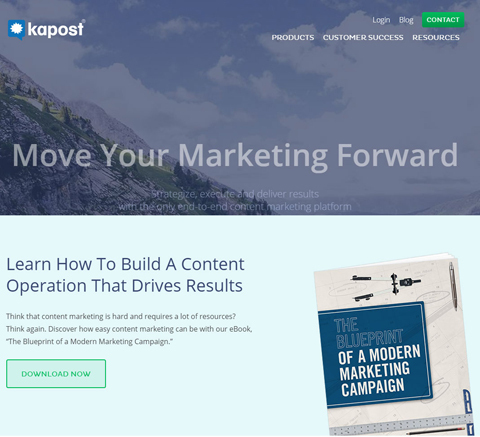 The SaaS-based Kapost platform manages the whole content operation from strategy to execution to results. The company’s goal is to help marketers build a content operation with repeatable, scalable and measurable processes. Kapost is great for mid- to large-sized B2B or B2C companies that produce large volumes of content. Price: $2,000-$3,500 per month; no free trial. The Kapost platform is supported by consulting services and partners, such as Salesforce.com, Marketo and HubSpot. NewsCred’s Content Marketing Cloud software enables marketers to create, source, publish and measure content performance. It includes workflow tools, editorial calendars and content recommendations. NewsCred helps enterprise companies scale their content marketing. Price: $2,950 to $10,500 per month; software licenses require a minimum 1-year commitment paid in advance. No free trial. NewsCred also provides access to licensed content from more than 4,000 publications, ranging from the New York Times to Gawker, as well as original content written by professional journalists. 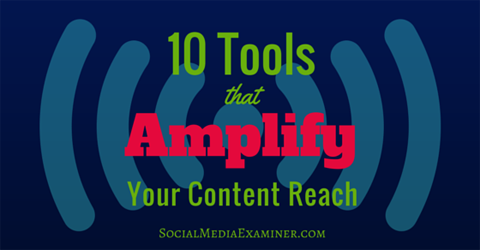 There are many ways to amplify the reach of your content. Social media management tools enable the automation of simple tasks and optimize your engagement across social networks. Content syndication sites expose your content to a wider audience. And content recommendation engines connect contextually relevant content to blog posts and articles on other publisher sites. Content management, curation, syndication and promotion tools can help bloggers, social media managers and marketers go beyond the basics to share their content with new audiences.